The term “reforms” has become a cult catchphrase within the Cambodian government, mostly used when any of the governmental institutions initiate something new or avant-garde. It has been 10 years since the government introduced the Decentralization and Deconcentration reforms, simply known as the process of redistributing or dispersing functions, powers, resources and budget resources away from a central location or authority to the sub-national to ensure transparency and accountability. 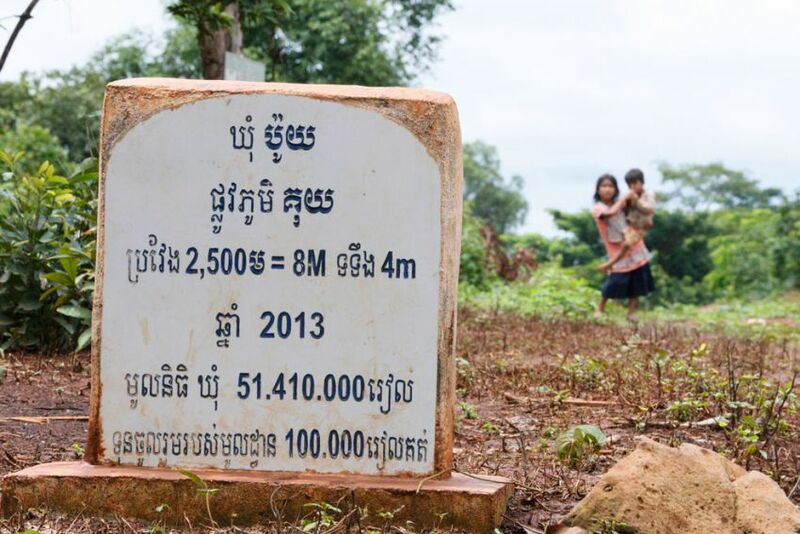 These reforms aim to reduce poverty in Cambodia; however, their success has not been proved yet, nor have they produced any noticeable achievements. So, to what extent have the reforms been effective so far? Because the office of The National Committee for Sub-national Democratic Development (NCDD) is in the area of the Ministry of Interior, it is often misunderstood that this committee is an arm of the Ministry of Interior. In reality, NCDD is a governmental institution, which assists in facilitating the process of D&D reforms. This misunderstanding probably leads to the disruption of the reform process. Of all the six sub-programs of NCDD, only one deals with enhancement of the ministries’ sub-national administration thought capacity development. Moreover, transferring functions, resources and budgets from the nationa to l sub-national level is under the control of each ministry while the local authorities only play the roles of the administrative facilitator and coordinator so that the democratic process and development of D&D reforms could be guaranteed. For example, the head of the commune council is also the chair of the Health Center Management Committee within the area under her/his authority. Although she/he will not be responsible for any technical work, she/he has to cooperate with the health center in a wide range of related works to improve social welfare. Those efforts include spreading information about infectious diseases, encouraging the citizens to go to health centers, settling disputes between the health workers and their clients, and so on. “Nonetheless, this is just the D&D reform. Many institutions have not experienced it yet, as some ministries have not delegated functions and budgeted resources to their sub-national bodies. If we look sub-national administrations at the provincial, district and commune levels, some of their offices are closed, occupied only by spiders and dirt. The powers of decision-making and budgeting are gathered at the national level, the central authority. For example, the folks from the countryside have to spend at least a few days in Phnom Penh just to have a charging paper done at the Ministry of Justice, or to go to the Appeals or Supreme Court. Similarly, they also have to spend a night in Phnom Penh make a passport. Is this the practice of decentralization and deconcentration? Meanwhile, the new reform initiated by the Ministry of Education for this year’s Bac.II examination on 4th October called for all the students to sit for their exams in the municipalities of their home province, and not in their school in district anymore. This is the copy of the exam system during Sangkum Reastr Niyum and Lon Nol regime, which contradicts the practice of D&D reforms today but the efforts of the ministry’s officials practice at provincial levels and proposed provincial authorities to make it easier for students to find places near the exam centers to stay. Its goals are the reduction of corruption and easier administration. But students might find it uncomfortable being away from home, causing them to forget some lessons. That is different from the previous practices at district level [D&D] Moreover, they run the risk of getting involved in traffic accidents while traveling home. How is the ministry going to be responsible for that? Furthermore, the mid-program evaluation of the 2009-2013 national development policy has shown that the D&D reforms had contributed to poverty reduction and improved the welfare of citizens through the construction of country roads using communal budgets (MOP, 2012). That is, the commune councils prioritized the construction of the roads once they receive the budgets, as it is also a political tool to gain more votes. Most of the councils do not consider the citizens’ social welfare although it is listed in the budget plan. Why do the commune councils not ask their people, who use and live along the street, to contribute to the construction of their streets and use the budget to improve the welfare of women and children? It is so much better not to spend it on one place. In conclusion, the government should reconsider the practice of D&D reforms, particularly how it contributes to the reduction of poverty, and urge other institutions to learn more about democratic development through decentralization and deconcentration in order for it to be sustainable. Next Post Want to Experience Traveling Abroad? Ask Mr. Tong Soprach!